This Armoured Car Use of Force Course required to obtain your Authorization to Carry (ATC) to work in the armoured car industry. For bookings and rates please contact us. BC’s most experienced independent Armoured Car Use of Force Instructors will provide the UoF training that will help your business provide the safest possible environment for your employees and customers. BC Firearms Academy instructors have years of experience working in the Armoured Car industry. Our Justice Institute of BC ( JIBC ) certified instructors have industry experiences and have worked directly with the Canadas leading providers of armed guards. Participants must be referred for Use of Force training by their employer or intended employer. The Canadian Firearms Program, Department of Justice, in cooperation with the Chief Firearms Officers, developed the “Authorization to Carry – Guidelines on Use of Force and Firearm Proficiency”. The primary objective of these Guidelines is to ensure the safety of both the public and the individuals authorized to carry firearms as part of their employment. 1. Possess a valid Possession and Acquisition Licence (PAL) to the restricted firearms level. Mandatory attendance at all sessions is required. Observations of inappropriate activity and/or violations of safety are subject to immediate removal. • the licence conditions relating to firearms that apply to all armoured car guard security worker and business licences. Rationale In order to issue an armoured car guard security worker licence, the registrar must be satisfied that the applicant holds all licences and permits required by law in relation to an approved type of firearm. Firearms are regulated federally under the Firearms Act of Canada (Firearms Act) and its regulations. In order to carry a firearm while working as an armoured car guard, an individual must have an Authorization to Carry (ATC) issued pursuant to section 20 (b) of that Act. The registrar may issue a security worker licence to an armoured car guard. The security worker licence is valid only while the armoured car guard is in possession of a valid ATC as issued by the Chief Firearms Officer for British Columbia (CFO BC). To ensure continuing firearms proficiency and ongoing compliance with the requirements of the Firearms Act, the registrar has imposed a number of licence conditions on all armoured car guard security worker licences. These include conditions relating to the types of firearms and ammunition that may be carried. Armoured car guard workers currently carry revolvers, but armoured car guard businesses wish to transition to semiautomatic pistols. While the transition to the semi-automatic pistol is ongoing, the registrar will authorize workers to carry the revolver. An armoured car guard worker may carry a semi automatic pistol only after the licensee has completed a Justice Institute of BC (JIBC) semi-automatic pistol conversion training course taught by an approved JIBC “Use of Force Training and Firearms Proficiency” instructor or has taken a course deemed by the JIBC to be equivalent. 3.4.2.1 The conditions outlined in 3.4.2.2 to 3.4.2.6 apply to all armoured car guard security worker licences. 3.4.2.2 The licensee must only carry a firearm if the licensee holds a valid ATC issued under section 20 (b) of the Firearms Act, by the CFO BC and follows all the conditions of the ATC. 3.4.2.3 The licensee must only carry a firearm that is registered to the business licence holder’s firearms business inventory and where, pursuant to the Firearms Act, a firearm registration number has been issued. 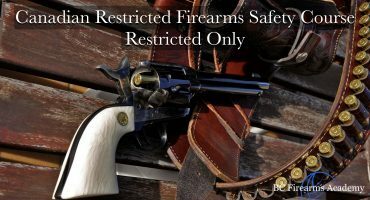 3.4.2.5 The firearm must be securely stored at the licensed business address during off-duty hours. 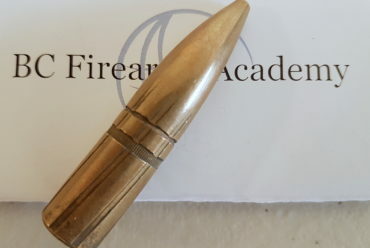 – jacketed lead or all lead alloy, (ii) 9 mm bullet weight of not less than 147 grains and .40 calibre bullet weight of not less than 180 grains, and (iii) 9 mm muzzle velocity of between 290 m/second and 330 m/second and .40 calibre muzzle velocity of between 290m/second and 396 m/second. – in the case where the licensee is required to carry a shotgun or where a shotgun is deployed in a vehicle, the licensee must have within the preceding 12 months, successfully completed the JIBC Basic Shotgun Proficiency Test from a certified JIBC Shotgun Proficiency Instructor, or has taken a course/test deemed by the JIBC to be equivalent. – only 12 gauge shotgun shells commonly known as SSG/00 Buck and containing no less than nine shot pellets per shell are authorized. The use of shotgun “slugs” or any other projectiles other than shot pellets are not authorized. The registrar must be satisfied that armoured car guards will be using firearms that are registered to their employer under the Firearms Act. Therefore, as part of the application process for armoured car guard businesses, the registrar collects and reviews copies of relevant documents issued under the authority of that Act. 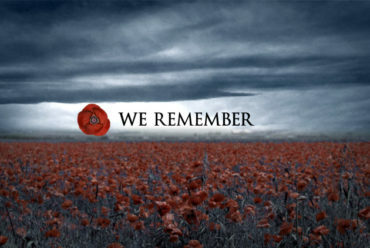 3.4.3.1 A person applying for an armoured car guard security business licence must submit: (a) a copy of a valid Firearms Business Licence issued in the business’s name by the CFO BC, and (b) a complete list of all registered firearms held by the business. To ensure that both the armoured car guard business and its workers continue to comply with the requirements of the Firearms Act once they are licensed, the registrar has imposed a number of licence conditions on all armoured car guard business licences. 3.4.4.1 The conditions outlined in 3.4.4.2 to 3.4.4.6 apply to all armoured car guard security business licences. 3.4.4.2 The licensee must only carry on the security business so long as the licensee holds a copy of a valid Firearms Business Licence issued in the business’s name by the CFO BC. 3.4.4.3 The licensee must ensure that its armoured car guard workers only carry a firearm if the worker holds a valid ATC issued by the CFO BC and follows all the conditions of the ATC. 3.4.4.4 The licensee must ensure that its armoured car guard workers only carry firearms that are registered to the security business under the Firearms Act. 3.4.4.5 The licensee must ensure that its armoured car guard workers only carry the firearms approved under 3.4.2.6. 3.4.4.6 The licensee must ensure that its armoured car guard workers, who carry firearms, only carry the ammunition approved under 3.4.2.6. BC Firearms Academy offers a wide verity of training options to meet your needs! Free resources and study materials to help you prepare for your Canadian Firearms Safety Course. No need to print the manual or bring the manual to your course with BC Firearm Academy. No need to print the manual or bring the manual to your course with BC Firearm Academy. 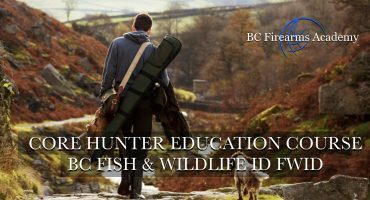 This course is designed to prepare you for the CORE Hunter Education Course examination and as a companion guide to the in-person course. Register for the exam challenge or the online course BC Firearms Academy. 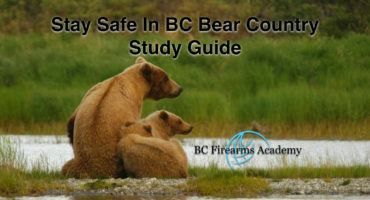 A free online study guide to help you stay safe in the bear country of BC. This online guide will help you work, hunt, hike, and camp safely in the backcountry of BC. 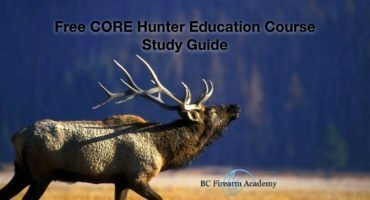 Free CORE Hunter Education resources and study guide. Free resources and study materials to help you prepare for your Canadian Firearms Safety Course. No need to print the manual or bring the manual to your course with BC Firearm Academy. 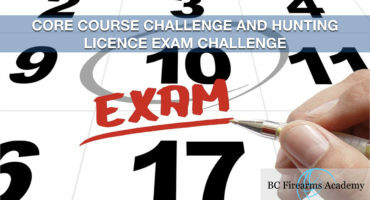 CORE Course Challenge and Hunting Licence Exam Challenge. CORE Course Challenges and Hunting Licence Exam Challenge can be completed by individuals who have completed home or online study. BC Firearms Academy Strongly recommends completing our Online CORE course and reviewing our Free Online Firearms Safety Study Guide. 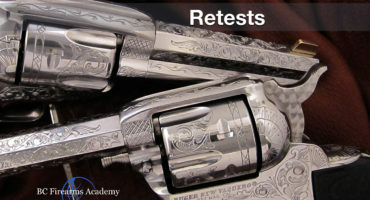 This Canadian Firearms Safety Course &amp; Canadian Restricted Firearms Safety Course runs over two days from 9:30 am to 5 pm. This is the course required for your Canadian Firearms Possession and Acquisition Licence (PAL). 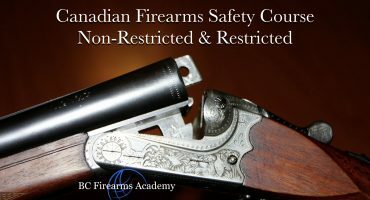 Canadian Firearms Safety Course Non-Restricted Only - CFSC - Canadian Firearms Safety Course. 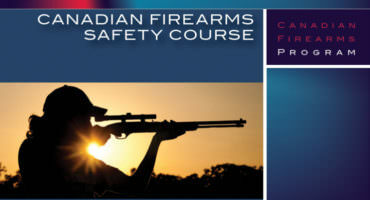 This Canadian Firearms Safety Course runs over 1 day from 9:30 am to 5 pm. 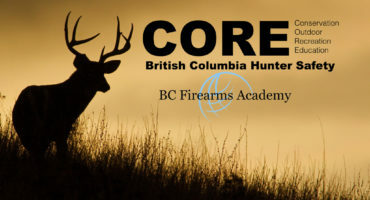 CORE Hunter Education Course BC Fish &amp; Wildlife ID FWID Abby Jan 13/14 This CORE Hunter Education Course is completed over 1 or 2 days from 9:30 am to 4 pm. 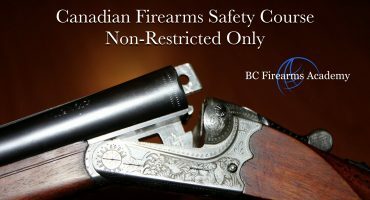 Canadian Restricted Firearms Safety Course – Restricted Only This Canadian Restricted Firearms Safety Course runs over 1 day from 9:30 am to 5 pm. Testing is completed on the day of instruction. 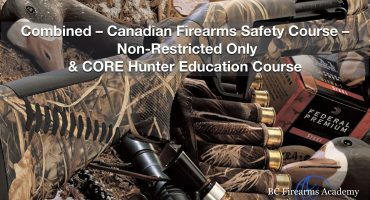 Combined - Canadian Firearms Safety Course - Non-Restricted Only &amp; CORE Hunter Education Course This is a 2 Day combined course. The Non-restricted Canadian Firearms Safety Courses is completed on the first day. Personal Coaching, One on One Instruction &amp; Range Training. Accelerate what you’re out to accomplish. Address what matters most to your shooting goals. 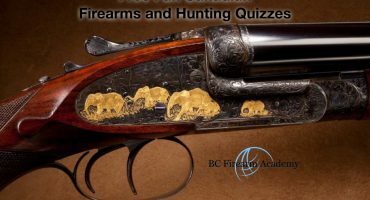 For individuals who have completed a BC Firearm Academy Canadian Firearms Safety Course Only. 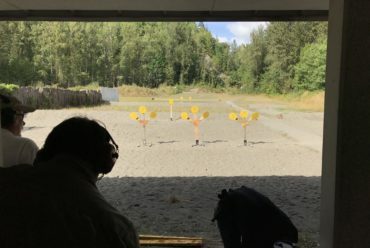 The RCMP firearms program no longer allows individuals to challenge the firearms safety course. 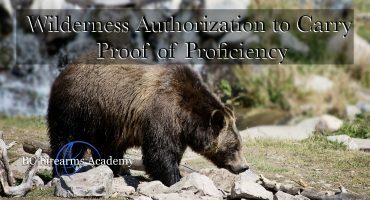 This course is designed for those working in the bush or the outdoor enthusiast that spends time in bear country. 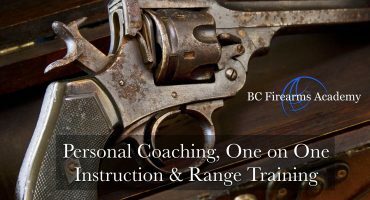 For individuals who have completed a BC Firearm Academy Canadian Firearms Safety Course Only. The RCMP firearms program no longer allows individuals to challenge the firearms safety course. WHEN ARE YOU AVAILABLE?WeekendsWeekdaysEveningsOther - Please specify when you would like your training to occur in the comments below. BC Firearms Academy Gun Club! 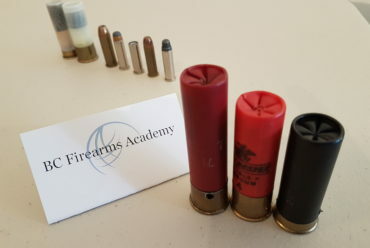 The Canadian Firearms Safety Course 3 common shotgun shell lengths?